Why Hiring an Experienced Cancun Wedding Photographer is Essential. Thinking of a Cancun wedding as a puzzle that requires all the pieces to fit just right, seems like a sensible approach. It’s easy enough to separate the event into different sections or “puzzle pieces” because there is so much to consider to get from “Let’s get married in Mexico” to being back home and starting your married life together. Naturally, your wedding photos are a very important piece of the puzzle, and if you really want it all to work, an experienced Cancun wedding photographer is the only way to go. The reason experience is such an important element, is because of comfort and knowledge. Seems simple, but don’t forget you are in a foreign country and things may be different than back home. 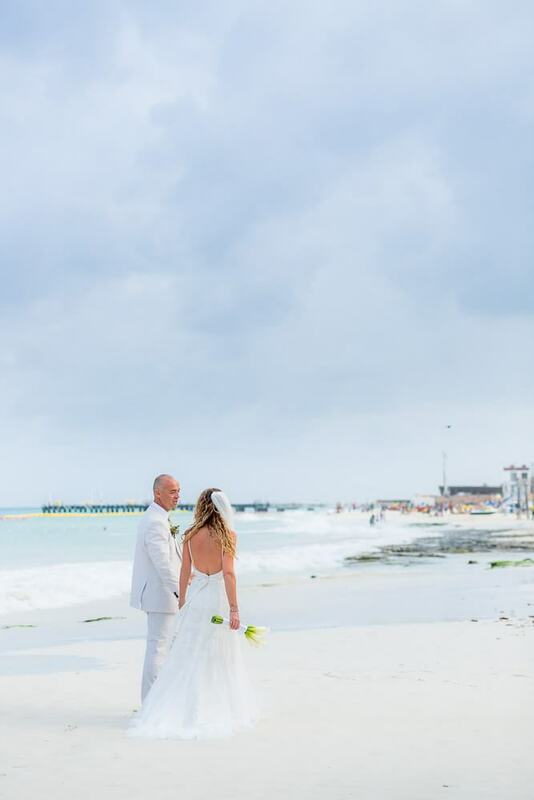 An experienced Cancun wedding photographer is comfortable with the surroundings and knowledgeable about the local customs and weather patterns, etc. He has the ability to sense any unique problems that may arise before they happen, simply because he spends so much time there. Basically, the “been there, done that” concept is a good thing when it comes to hiring an local wedding photographer in Cancun. Experience with the surroundings enables an experienced photographer to blend in and give advice or solve problems “from the shadows” so you can continue on your day without any undue stress. The experience factor allows the photographer to know what’s needed and when, to direct the group with patience and empathy, and even to keep the Sun Gods smiling. Ok, maybe sunshine isn’t guaranteed, but the experience helps recognize when changes are coming. And trust me, the weather in Cancun can change in minutes and knowing that the storm is coming or going can be a huge help to your day. 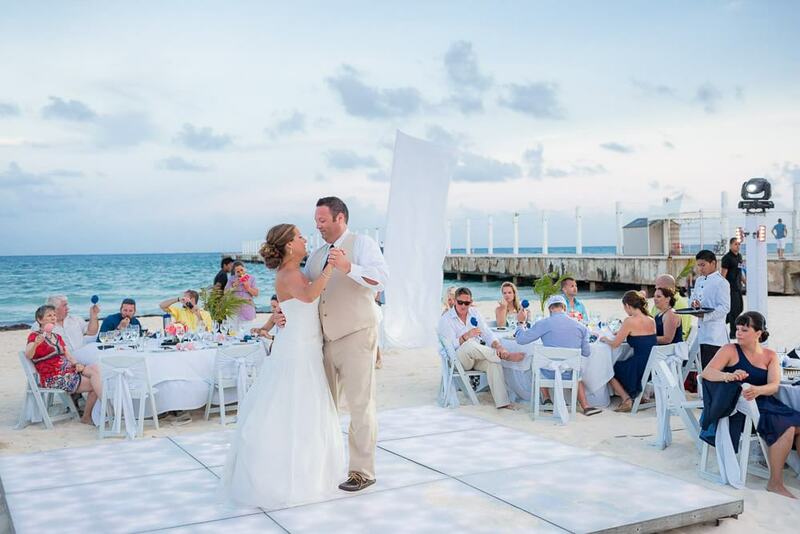 It’s no secret that many couples looking to get married in Cancun would rather take their chances with a relative or friend who has some photography experience, instead of paying for a professional. Sometimes this might work out and save you a few dollars, but more often than not you’ll have inferior wedding photos. And what’s worse, you’ll have inferior wedding photos that are extremely difficult to re-shoot. And lets face it, a re-shoot may not even be possible. It’s always a good idea to take a step back and look at the puzzle as a whole, before you break it up into individual pieces. A professional Cancun wedding photographer’s livelihood depends on providing a high quality product, so you know he’s going to take it seriously. This is especially true with social media and instant messaging such a big part of our lives. When the wedding is done and all you have left are the memories, those few dollars you saved to hire an inexperienced or amateur photographer aren’t going to matter one bit. But being embarrassed to show people your wedding photos certainly will. What an experienced Cancun wedding photographer really provides you is peace of mind. You get to see the portfolio, read the testimonials and ask all the questions you want beforehand. Then, when the big day arrives you can do what you’re there to do, which is get married, and let the expert capture your memories for you.